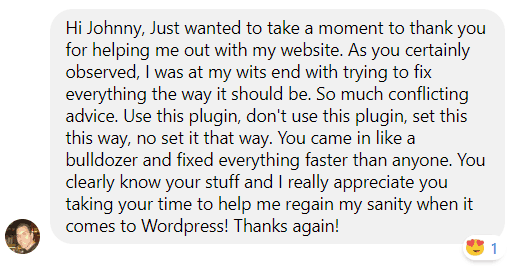 I was a little nervous at first moving to an unmanaged type of setup, but now I am glad I made the shift and have no regrets. At the time I transitioned three live sites, and one of them was running live Facebook ads. And yet, the move was seamless with his help. I didn’t miss a beat. 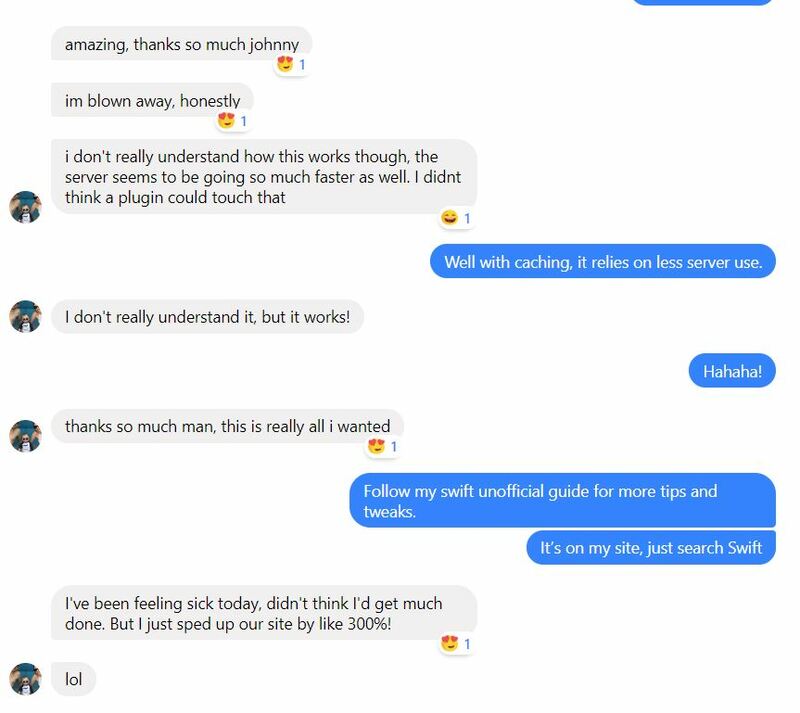 I was blown away by how helpful he was. 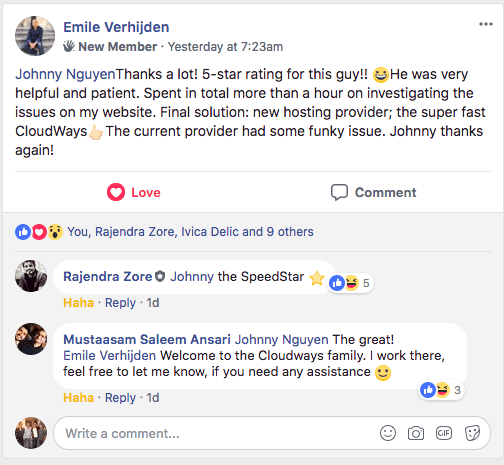 He went above, and beyond, and I tell you this, he has a friend for life, not just a customer. He pretty much saved my business. Where all the other providers failed, he delivered. 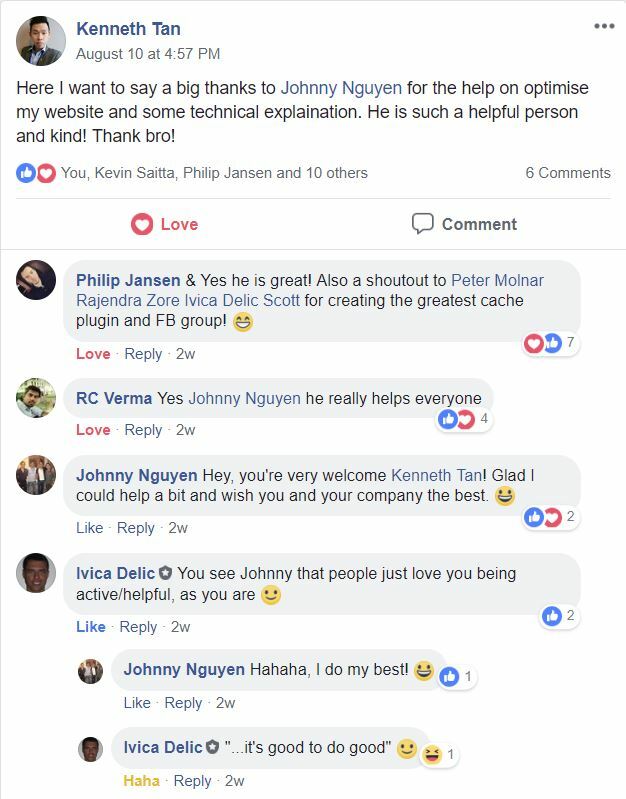 His depth-of-knowledge is amazing (Web developer? Web guru? lol? Blogger extraordinaire? 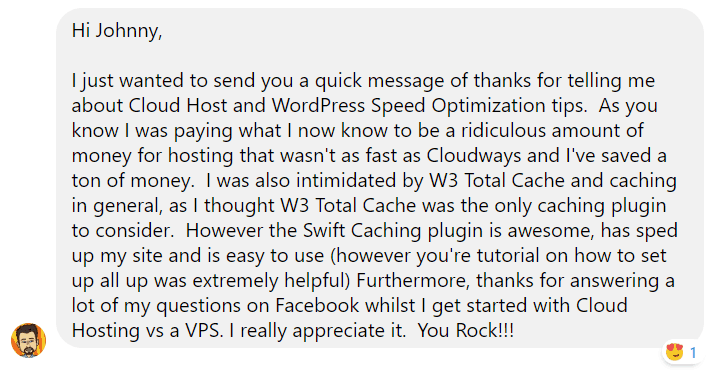 ), and I feel pumped about any recommendations he makes about my blog. 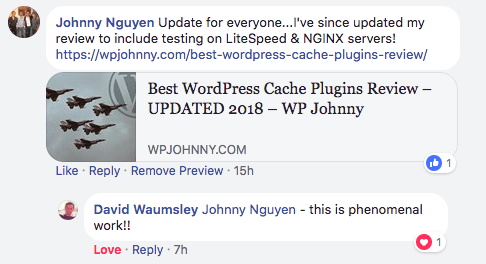 I’d hire Johnny in a heartbeat for anything WordPress or blogging business related. Highly recommend! I basically had these 2 issues slowing down my site. 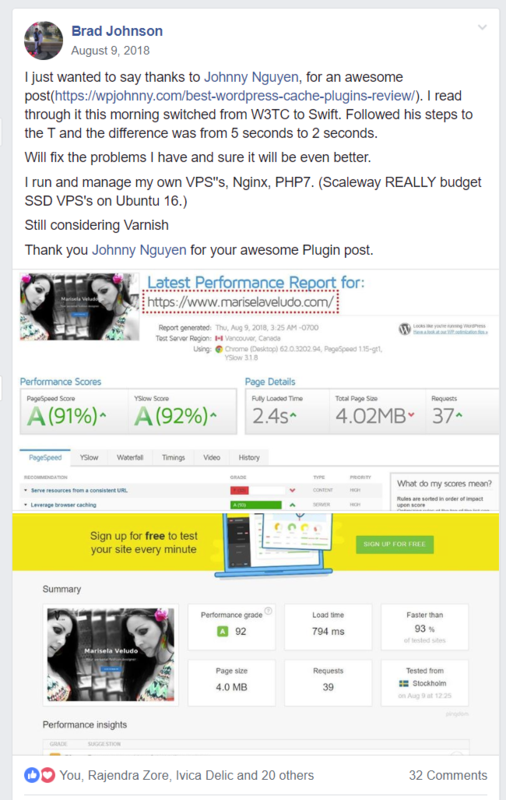 It is strange to let a stranger take care of my site, I felt so useless. I have seen you are very present on the fb group, and people like me are lucky to have people like you. 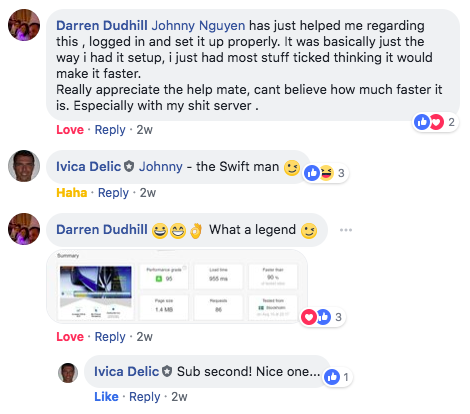 Johnny, huge thanks for your help. I really appreciate and thank you a lot. You are amazing, man. 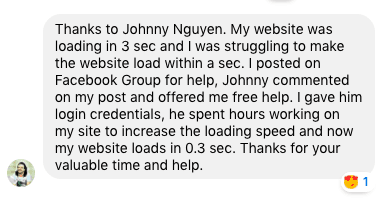 Shout out to @Johnny Nguyen for the assistance. Went above & beyond what I expected from someone very knowledgeable.